The following guide is for clients using Karks.com web hosting. If you use another host, please contact your specific hosting company for help with setting up your email account. 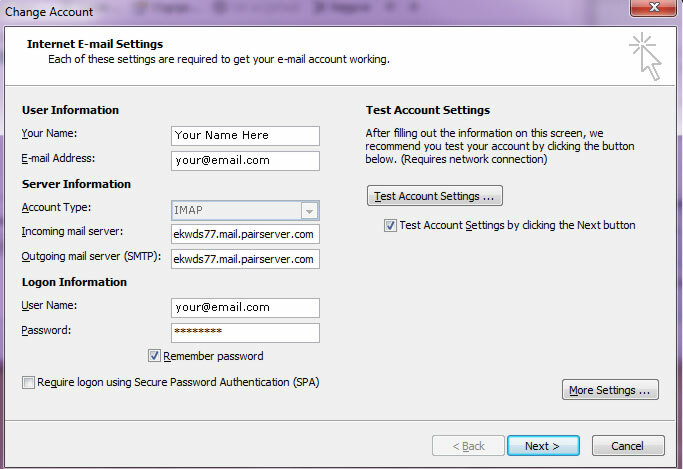 Regardless of how you check your E-Mail (a desktop program such as Outlook, or a mobile device such as an iPhone), the following settings are required for setting up your mail reader software. The following images are useful guides in getting your e-mail program setup. Your program may look different. Password: If you have forgotten your password, please contact me. Security: This server uses SSL encryption. 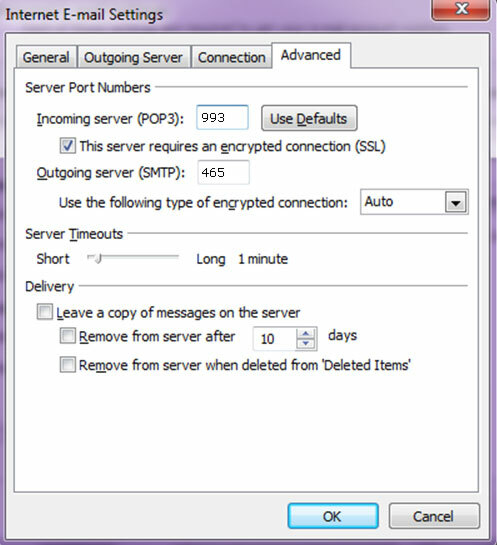 Depending on your mail software, there may be a check box to indicate that you use SSL for your connection. However, the location of this setting varies by the software being used. Password (if your mail program asks for it): If you have forgotten your password, please contact me. Authentication Method: Password (it may also be referred to as “Normal Password”, depending on your E-Mail software). 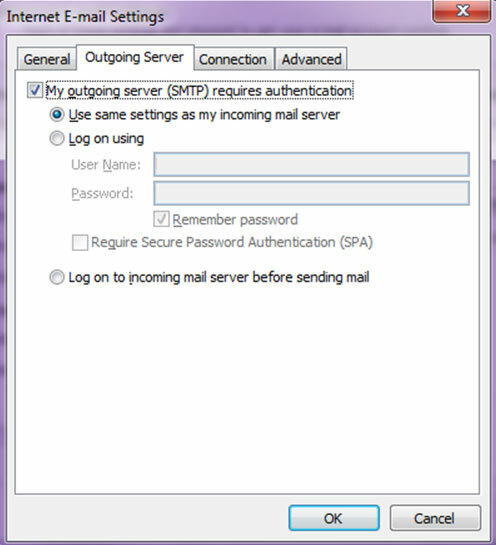 ***Note: In Microsoft Outlook, the Outgoing Server settings contain an option that says “My outgoing server (SMTP) requires authentication”. MAKE SURE THIS IS CHECKED. Underneath that setting, you have the option to “Use same settings as my incoming mail server”. THIS SHOULD ALSO BE SELECTED. Having trouble with Outlook? Click here for some tips on diagnosing errors.